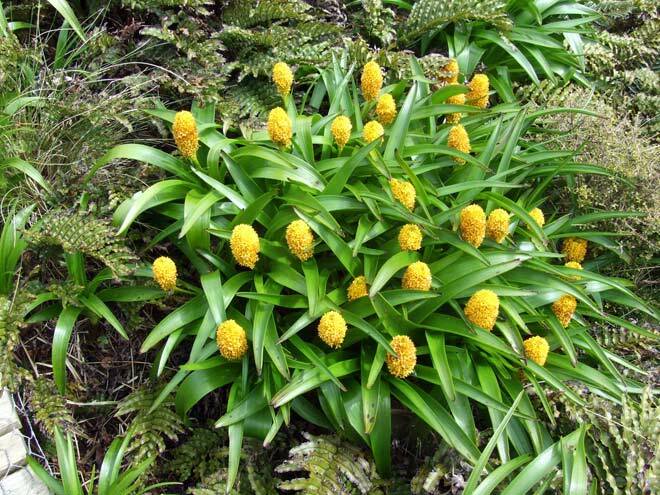 The yellow-flowering Ross lily (Bulbinella rossii) is one of the most prominent megaherbs on Campbell Island, because it was unpalatable to sheep. It has large fleshy leaves and is also found on the Auckland Islands. Permission of the Otago Daily Times must be obtained before any re-use of this image.